Have you ever dreamed about trying out a hybrid operating room (OR) in a quiet environment? Last week we opened up a brand new section at our Getinge Experience Center in Rastatt, Germany, where our visitors can get hands-on practice of our products, without being interrupted. 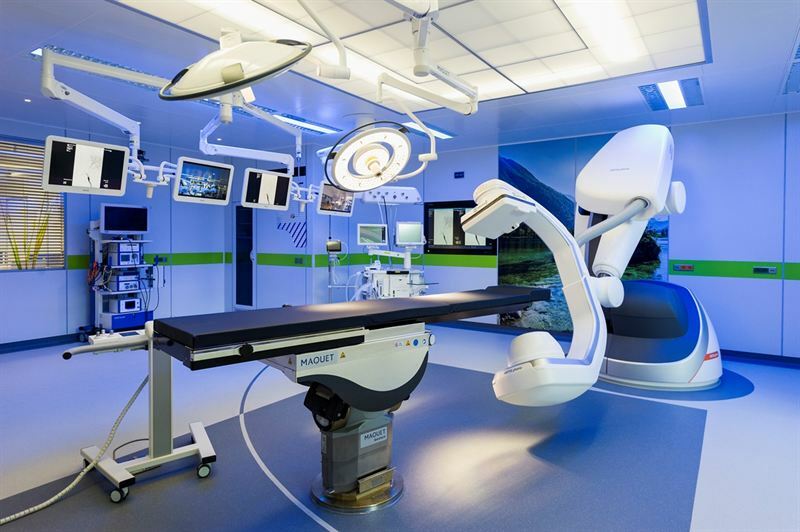 The new hybrid OR is a surgical theatre, displaying advanced medical imaging devices which enables intraoperative 2D and 3D imaging during minimally-invasive surgery. It is equipped with a combination of the new ARTIS pheno® robotic C-arm from Siemens Healthineers, our Maquet Magnus Operating Table and other associated products. Soon we will also install our ceiling supply unit MODUEVO in combination with these products. In the hybrid OR we have aimed at creating a unique environment where our visitors can visualize the possibilities of intraoperative imaging. When it comes to the hybrid OR market, we are thrilled to have completed over 900 installations worldwide so far and we offer acomplete range of products, including operating tables, surgical lights, ceiling supply units, wall and ceiling elements, anesthesia units, heart-lung machines and OR integration. Do you want to come and try it out with us? Contact us at ExperienceCenterRastatt@getinge.com or contact your local sales representative.